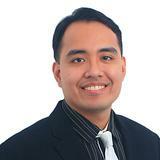 Miguel Business Broker LINK Business Broking Phil. Inc.
Business for Sale - Specialty Pork Ribs, 2 Stores for the Price of 1! Franchise Opportunity! Lido Cocina Tsina Home of Chinese Pugon-Roasted Asado. Celebrating 80 years of Legendary Recipe! Franchise Fee is ₱1,200,000 CONTACT NOW for more information! Biz for Sale - Retailer of Office Supplies, Equipment & Furniture w/ branches in Ortigas & Q.C. Business for Sale - Restaurant and Bar in the heart of Ortigas Center! Own a Delightful Cafe - It offers a fantastic ambiance while enjoying their specialties: coffee and milk tea. They also offer a variety of main dishes, pasta and sandwiches including an all day breakfast menu. - Buyer to take over a 3-year lease at P15,000 per month inclusive of taxes. -No CUSA. Business for Sale - Value for Money Steak House Up for Grab!